> JEWELRY>Earrings>18K Gold filigree earrings "AURORA BOREALE"
Jewel of refined beauty. The evocative and dreamy thoughts inspire this jewelry. The Jade and Emeralds evoke the light reflected on the water. Creativity, craftmanship and originality are the elements that constitute this elegant jewel with a regal allure in a contemporary design. 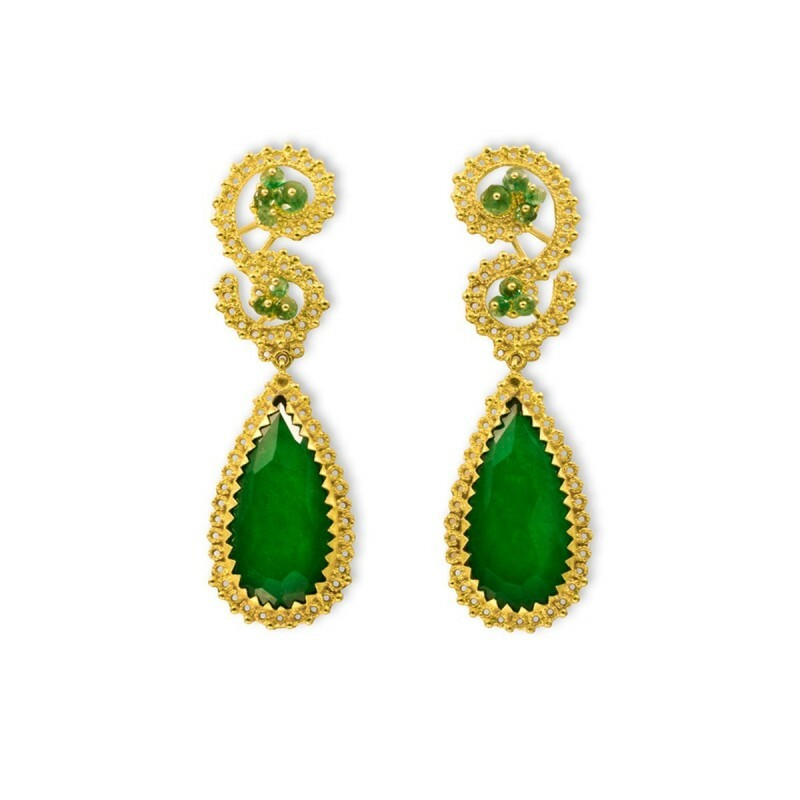 These earrings are characterized by alternation of solid and empty spaces of filigree jewelry.